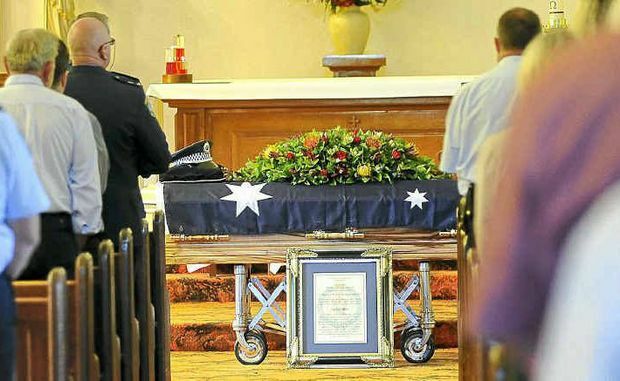 HUNDREDS gathered at St Kevin’s Catholic Church in Bangalow to farewell long-serving Byron Bay police officer Murray Powell yesterday. 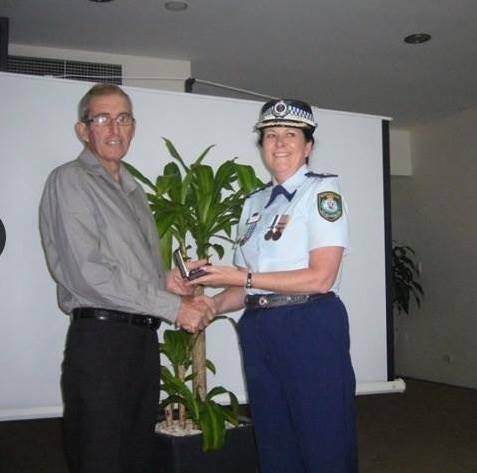 A sergeant at Byron Bay for 25 years, Mr Powell received full police honours in a moving ceremony commemorating his life and 40 years of service to the NSW Police Force. The widely respected officer died this week after losing his battle with pancreatic cancer. He worked for five months following his diagnosis despite being told not to, reluctantly retiring in October. Former Richmond Local Area Commander, now New England Local Area Commander, Superintendent Bruce ‘Bluey’ Lyons remembered his mate with whom he shared his first beat with as probationary constables in the early 1970s. He praised a man who he said served in the most difficult role, and most important rank, in the force – that of a general duties sergeant. “We walked the streets of Chippendale and Redfern together,” he said. Mr Powell is survived by eight children, two from his first marriage and six from his second, to Petria. 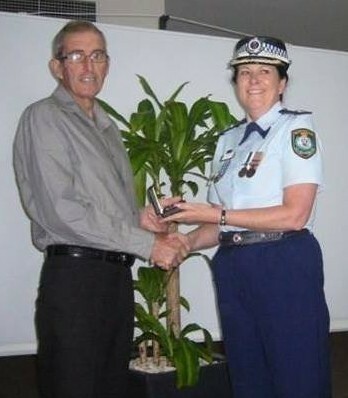 Retired Byron Bay Inspector Owen King remembered his colleague, Muzza, as one of the proudest fathers he knew – one who was constantly regaling workmates with his children’s exploits. “It seemed like he was always expecting a baby,” he said fondly. “He’d come in saying Petria was expecting again, then again. Mr King commended Mr Powell’s composure in the most stressful of policing situations and remembered his now famous morning teas. “Woe betide anyone who brought in a prisoner during morning tea,” he quipped. Mr King remembers a man who “took it all in his stride” and embraced the advice to “not count the days, but make the days count”. “Muzza old mate, you’ll be sorely missed but your suffering is over and you’ve gone to a better place,” he said. The funeral procession to Eureka Cemetery was led by two highway patrol motorcycles before family, friends and colleagues gathered at Clunes Hall for “one last morning tea”. Murray POWELL was NOT mentioned on the Retired Police Association website.